"Film was born of an explosive." In 1978, a construction crew stumbled upon thousands of reels of nitrate film from the silent era buried beneath in the ruins of an old swimming pool in an athletic facility in Dawson City, Canada. At its peak, Dawson was the epicenter of the Klondike gold rush of 1898. It was founded on the banks of the Yukon as a mining town, and ballooned to a population of more than 30,000 in less than a year. However, in a year's time, most of the miners had moved on, leaving behind a population of less than a thousand, and a gold industry controlled by a single company and its massive mechanical dredgers. It was a ghost town, a shadow of its brief glory days; and yet the theaters that dotted its streets remained. Dawson was the final stop on a film distribution line through which new films could sometimes take years to reach their destination. Returning the outdated reels to California proved cost-prohibitive, so the studios ordered the Dawson theaters to destroy them at the end of their rental period. Countless reels were tossed into the Yukon River (the typical method for disposal of trash at the time), and untold numbers were lost to devastating fires due to their combustible nature. Luckily, many were used to fill the Dawson Amateur Athletic Association's pool in order to create a permanent ice rink. There they lay for nearly 50 years, preserved in the permafrost, until their discovery in 1978. The resulting find is nothing short of miraculous, containing films long thought lost to time. The films, while damaged, are in a remarkable state of preservation, and provide a haunting glimpse into the world of silent cinema, and the lost world in which Dawson once existed. Enter filmmaker Bill Morrison, whose work in repurposing aged and decaying film into new works of art has resulted in such films as Decasia (2002) and The Miners' Hymns (2012). Morrison is the ultimate "found footage" filmmaker, a kind of film historian as artist, taking already existing footage and turning it into something completely new. 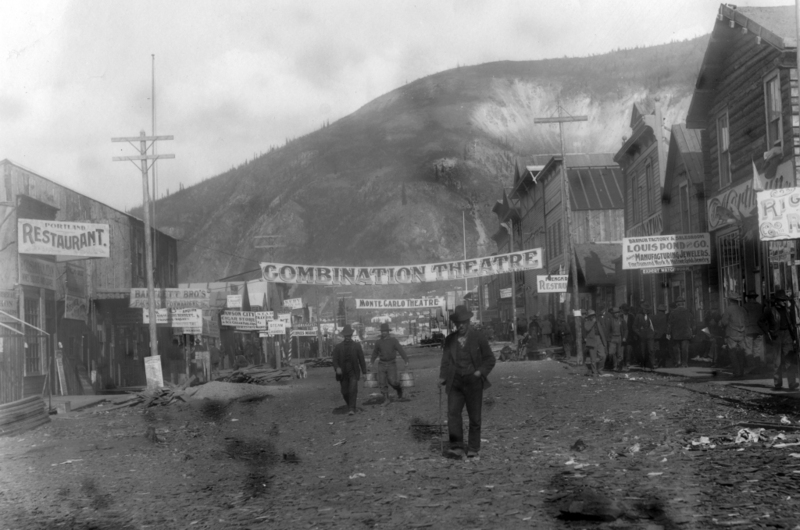 In Dawson City: Frozen Time, he dives into the Dawson find and presents a celebration of the unique timelessness of the moving image. Stitching together pieces of the films found in Dawson, Morrison presents the history of a town on the cusp of a new century; a bright, burning beacon that drew treasure seekers from around the world, only to flame out just as quickly when the gold dried up. The Dawson find encapsulates not just the history of Dawson, but the history of the 20th century, featuring unseen newsreels from World War I, early protests for racial equality lead by W.E.B. DuBois, and the very play from the infamous 1919 World Series that tipped off investigators that the game had been fixed. These films, with their distinctly damaged edges, are like peering through a window in the fog of time itself. Morrison clearly has great respect for these images, and it's hard not to feel a sense of reverent awe in their presence. Each frame is a miracle unto itself, a testament to the resilience and fragility of cinema. And each film comes with its own sense of tragedy - for each film preserved here, there are hundreds more lost forever. It is estimated that over 90% of all films made during the silent era no longer exist in any form. That knowledge gives Dawson City: Frozen Time, with its evocative score by Alex Somers (Sigur Rós), a sense of bittersweet melancholy. And yet here, buried in the frost of one of the great frontiers, was a treasure trove of cinematic history; here in the place where such figures as Sid Grauman and Alexander Pantages discovered their love of film. One could even argue that Dawson City is just as important to the birth of cinema as Paris, France or West Orange, New Jersey (home of the Lumière Brothers and Edison Studios, respectively). There's just something about these flickering images that is hard to shake; a magic that is almost indescribably beautiful, as if we are watching history come to life through film. 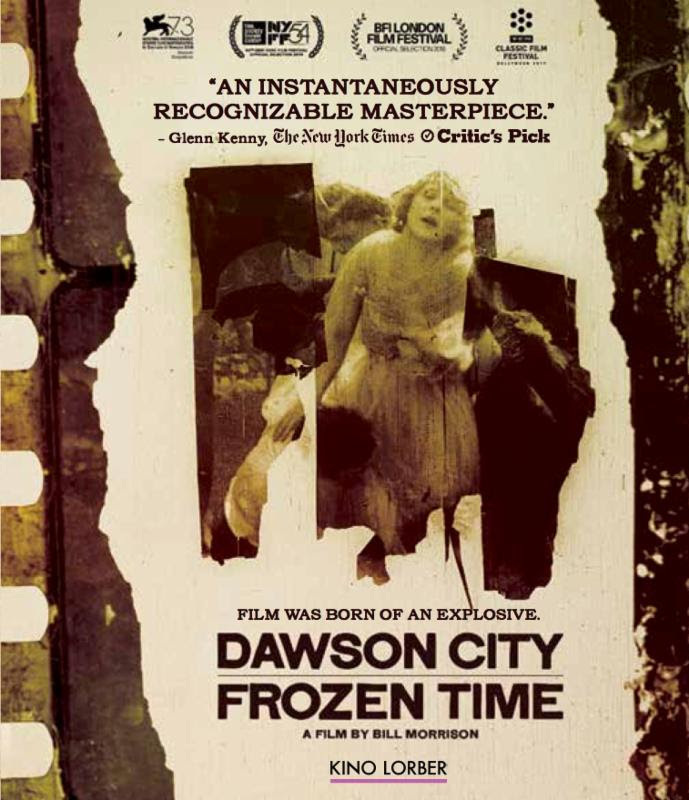 Part historical document, part cinematic fever dream, Dawson City: Frozen Time is a film to be treasured, a living document of a bygone era whose influence continues to echo through history. Luis Buñuel once said, "In the hands of a free spirit the cinema is a magnificent and dangerous weapon. It is the superlative medium through which to express the world of thought, feeling, and instinct. The creative handling of film images is such that, among all means of human expression, its way of functioning is most reminiscent of the work of the mind during sleep. A film is like an involuntary imitation of a dream." 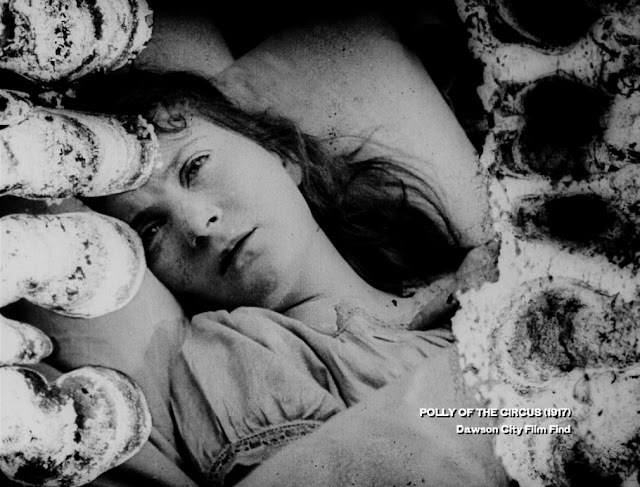 If cinema is the place where dreams meet reality, then Dawson City: Frozen Time is a cinematic reverie that takes us on a mesmerizing and deeply moving journey through history, ultimately discovering a kind of immortality buried beneath the snow. Film was born of an explosive indeed; and here, to appropriate a quote by Woodrow Wilson, it's like history written by lightning. Now available on Blu-Ray and DVD from Kino Lorber!